Cardano(ADA) is currently in the top 10 coins we have right now based on marketcap, due to Cardano(ADA) being one of the biggest contenders against other smart contract platforms like Ethereum and EOS. So while waiting for Cardano(ADA) to be developed by the team and also while waiting for it to rise in price, we heavily suggest that people should make sure that their ADA holdings are safe enough for long term storage. If you’re looking for a guide for that specific reason, you’ve come to the right place. Enter a password. This password will be used when sending transactions and creating new addresses. You wallet’s 12-word recovery seed will now be displayed. Click on “Continue“. Your 12-word recovery seed is now being displayed. Write down the words on a piece of paper accurately and legibly; and NO. Do NOT save your recovery seed on a word file, a text file, or anywhere digital. WRITE IT DOWN. After following these steps, you can now withdraw the ADA that you’ve bought on your preferred exchange. To get access to your Cardano wallet’s address, head back to the Daedalus wallet and click on “Receive“. Your wallet’s address will then be displayed. The Yoroi wallet is only currently supported on the Google Chrome and the Brave browser. For security and privacy sake, we heavily suggest using the Brave browser instead. A Yoroi Wallet extension icon will then appear on the right side of your browser’s address bar. A browser window will then open. Select your preferred language. Read the ToS, then continue. Click on the “RECEIVE” tab. Your wallet’s address will then be displayed. You can now withdraw your funds from your preferred exchange. Atomic wallet is a “Universal Multi-Assets Wallet”; pretty much a single wallet that could hold multiple coins and tokens, with the feature of exchanging your coins and tokens to other coins and tokens without even withdrawing your funds. Head over to https://atomicwallet.io/downloads and select your device’s operating system. After downloading and installing the file, run the launcher. Your 12-word recovery seed will then be displayed. DO NOT copy the words digitally. Write them down on a piece of paper. To be able to store your Cardano using your Ledger Nano S or Nano X, make sure that you’re device is on Firmware version 1.5.5 or newer. Open up Ledger Live, and make sure it’s software version is up to date. Head over to the Manager section on the left side bar, and search on “Cardano”, then click on Install. Read the ToS, scroll down then continue. Note: If the connection fails, try uninstalling and reinstalling the Cardano app, and the Yoroi browser extension. When the “Export public key” screen on your Ledger device is displayed, press both buttons on your Ledger device to confirm, then press accept. Finally, click on the “RECEIVE” tab, and your wallet address will then be displayed. You can now send over your funds. 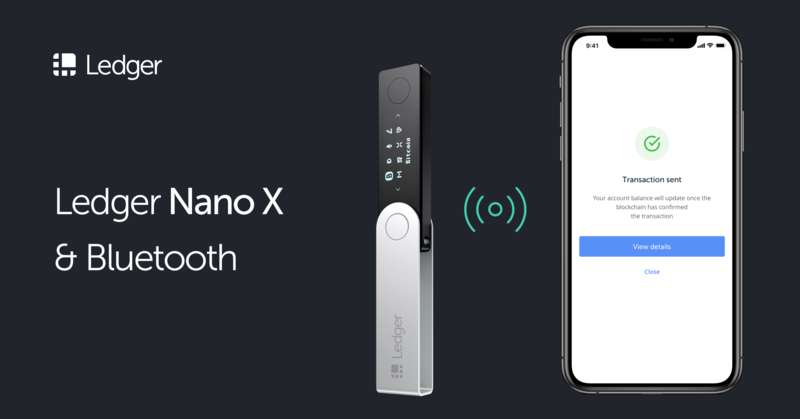 READ: The brand new Ledger Nano X: Is it worth buying? Which wallet is the safest? When using wallets that are installed on your computer or mobile device, there’s always a chance of hackers gaining access to your wallet’s private keys, no matter how secure you think your device is. As always, regardless of what coin or token you’re storing, a hardware wallet like the Ledger Nano S or the Ledger Nano X is always heavily recommended. Since your private keys are locked into the hardware wallet device, your funds are safe even if your computer has hundreds and thousands of malware/viruses in it. That’s pretty much it. You should be able to store your Cardano(ADA) on your own wallets if you followed any of the instructions above. This is just the beginning though, as no matter how secure your funds is, you can still lose your funds if ever you fall for some tricks that scammers and hackers have. People get hacked and scammed all the time. We heavily suggest that you educate yourself on the common cryptocurrency scams, just to make yourself aware.